Head lice, or ‘nits’ as it’s commonly known, is something that many parents of children will have to deal with at some point in their lives as it is very common and affects about one child in five. 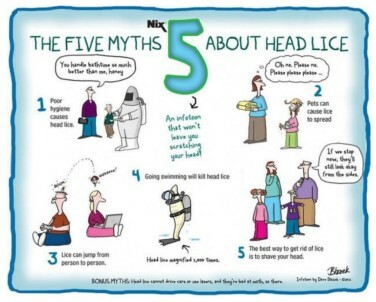 There are still quite a few myths about head lice that you may be aware of such as the old adage that nits only go for children with dirty/clean hair or that they are super athletic and can fly, swim and jump!! All rubbish! The facts are that nits don’t prefer washed or unwashed hair and they don’t mind whether the hair is long, short, straight or curly. All they need is close, head-to-head contact so that they can crawl from one head to the other and this is why they are most common in children age 4 yrs to 11 yrs as they tend to play quite closely with each other. 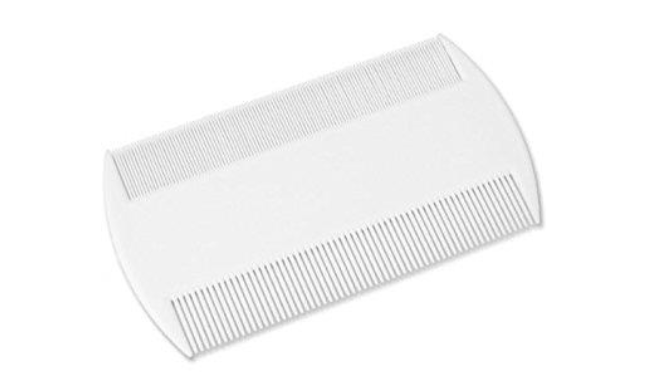 It can be difficult to detect head lice in children’s hair as they can be extremely well camouflaged deep in the hair and so you may need to part the hair and have a good root around with a comb, ideally when it is wet (you can buy a nit comb from the pharmacy). *shiny whitish nits stuck to your child’s hair close to their scalp, possibly behind the ears and at the back of the neck. *shiny white empty sacs away from her scalp, further along the hair shaft. *rash on the back of the neck caused by irritation from louse droppings. It is best to treat the lice on the first day that you find them and check that everyone else in the house doesn’t have them too (if they do, you all need to be treated). Nits can be treated in two ways, the chemical way or the non chemical way. If you prefer not to use chemicals you can buy a fine toothed comb or detection comb as it’s sometimes called and you can use the comb to comb the whole head of hair ( preferably with conditioner) from the roots to the ends and you repeat this every few days for 2 weeks (NHS 2017). If you prefer to use a chemical method of removal, there are plenty lotions or sprays that kill head lice in all types of hair and these can be bought in supermarkets or pharmacies. After using these sprays, the lice should die within a day and you can use a comb to remove the dead lice and eggs. Sometimes you may have to repeat the treatment after a week to make sure that you kill any newly hatched lice. Unfortunately there is not a lot you can do to prevent head lice especially if your child is attending nursery or school as they are bound to be playing in close proximity to each other.